Financial Calendar for 2019 – All the deadlines you need to know to maximize your benefits! Although there is no magic formula for getting started on a retirement strategy for your business, there are some general principles which might help you to get a handle on the steps that you need to take. One of the key ideas is the consideration of both your business and your personal finances and how to structure and integrate the two in order to create a robust retirement financial strategy. Here are some tips on how to get started on a retirement plan. Set aside time to plan for the future – It’s important to make retirement planning a priority, or you run the risk of never getting around to it. 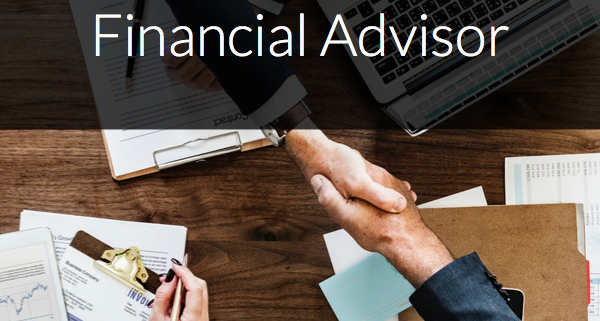 A professional financial planner can help you to assess your personal circumstances and create a personalized plan that suits you and your business, with the right balance between saving and reinvestment to help your business to grow. Equity held in your business – If your business is successful, you are likely to benefit from equity from it in your retirement. 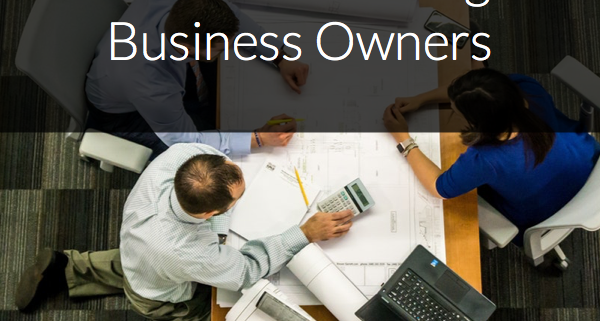 Selling your company is an option, particularly attractive to some as, in some cases, you could benefit from the lifetime capital gains exemption on the sale. Of course, finding the right person to run your business in the future is easier said than done. A clear succession plan, created in advance of your retirement, can help you to ensure that business continuity will be affected as little as possible and will give you peace of mind as you approach your retirement. You may also want to consider using the expertise of an accountant or mergers and acquisitions specialist to help you to value your business correctly and also look after your interests when liaising with potential purchasers. Alternatively, you may choose for your children to inherit your business, or you may decide to retain ownership of dividend-paying preferred shares in order to maintain an ongoing source of income. Registered plans – A Registered Retirement Savings Plan (RRSP) can offer personal tax deductions on your contributions, plus your savings will grow as tax-deferred whilst in the plan. In addition, tax-free savings accounts (TFSAs) can be a useful way to save tax-free in particular circumstances. Consider offering a retirement savings plan to your employees – Paying your statutory contribution of the Canada Pension Plan is just the minimum – many small businesses choose to offer their employees enhanced pension contributions as an incentive or employee benefit. For example, you could match their RRSP contributions to a set limit, to help their retirement nest grow more quickly. Alternatively, you could offer a benefit plan with an investment contribution package from an insurance company, which can be a more straightforward and cost-effective choice. Be sure to diversify – As a small business owner, you should avoid putting all of your eggs in one basket, financially speaking, as this could leave you vulnerable to changes in the market. Try to diversify your investments and spread your funds in order to protect yourself and engage the help of a professional where necessary to help you to do so. 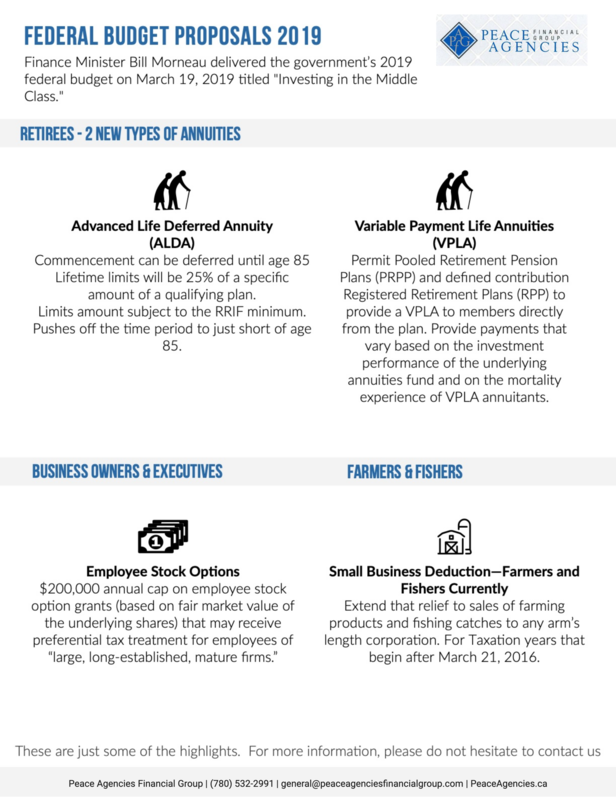 In summary, it’s important to remember that retirement planning is a process which is unique and personal to your own and your business’ circumstances and there is no uniform approach which works across the board. Take time to take stock of your current situation, as well as your goals for the future and this will help you to create a retirement plan that is right for your needs, both current and future. Alberta intends to bring in a new Interactive Digital Media Tax Credit with a maximum funding of $20 million per year, which aims to offer eligible companies with a benefit of 25% of eligible labour costs. This benefit relates to costs incurred after April 1, 2018 and is aiming to better support the interactive digital media sector in the province. 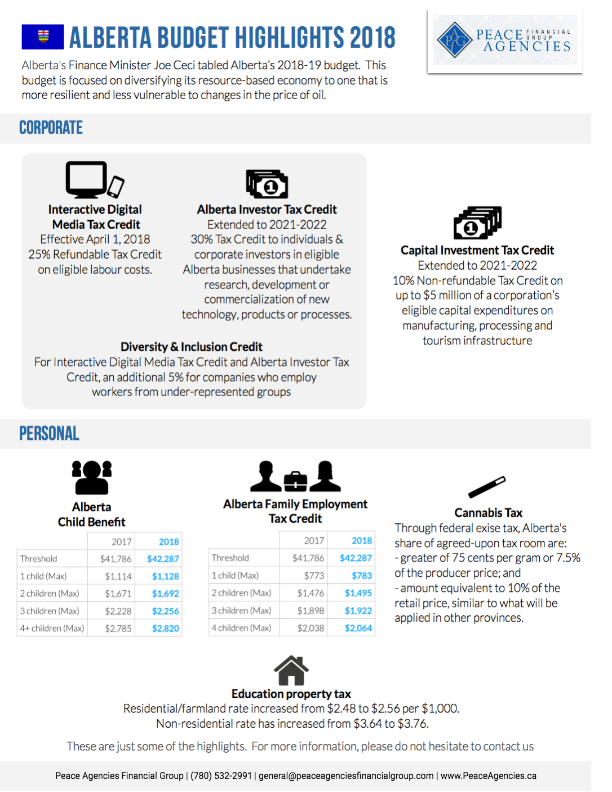 The 2018 budget extends the existing Alberta Investor Tax Credit until 2012-22. The existing program offers a 30% tax credit to both individuals and corporations who commit to making equity investments in eligible Alberta businesses, such as those involved in research, development, digital animation and various others. 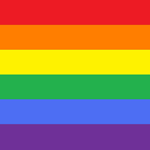 Relating to the Interactive Digital Media Tax Credit and Alberta Investor Tax Credit, the budget notes a 5% diversity and inclusion credit enhancement which could be claimed if the company offers employment to an individual from an under-represented group. The budget announces that the Capital Investment Tax Credit, a 10% non-refundable tax credit of up to $5 million for a corporation’s eligible capital expenditures on manufacturing, processing and tourism infrastructure, will also be extended until 2021-22. 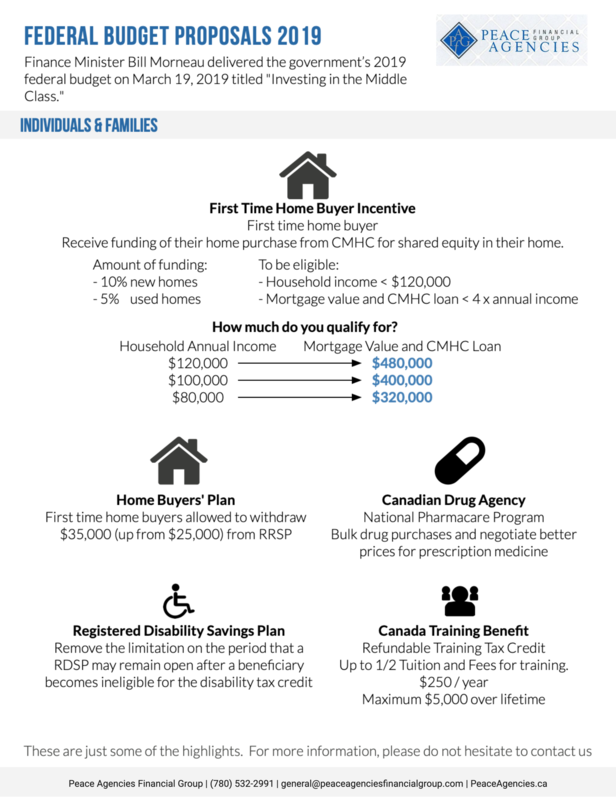 The 2018 budget details increases to these benefits for families with 1, 2, 3 and 4 plus children, as well as increasing the phase-out threshold for family net income from $41,786 to $42,287. Increases have also been announced in the budget to offer more benefits for working families who have income from employment of more than $2,760 per year. The phase-out threshold has been extended from a family net income of $41,786 to $42,287, as well as increases to the benefit amounts for each family size. 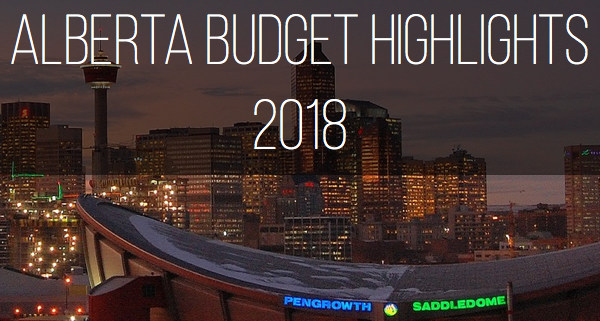 The budget covers the agreement made by Alberta to adhere to a structured tax framework with the Canadian government for a period of two years after the legalization of cannabis for recreational purposes. Specifically, either $1 per gram or 10% of the producer price (whichever is greater) will be collected and the province will receive 75% of this tax room, both to be collected by the federal government. In addition, an additional tax of a maximum of 10% of the retail price may also be collected by the province. · From $2.48 to $2.56 per $1,000 or equalized assessment for residential/farmland property. 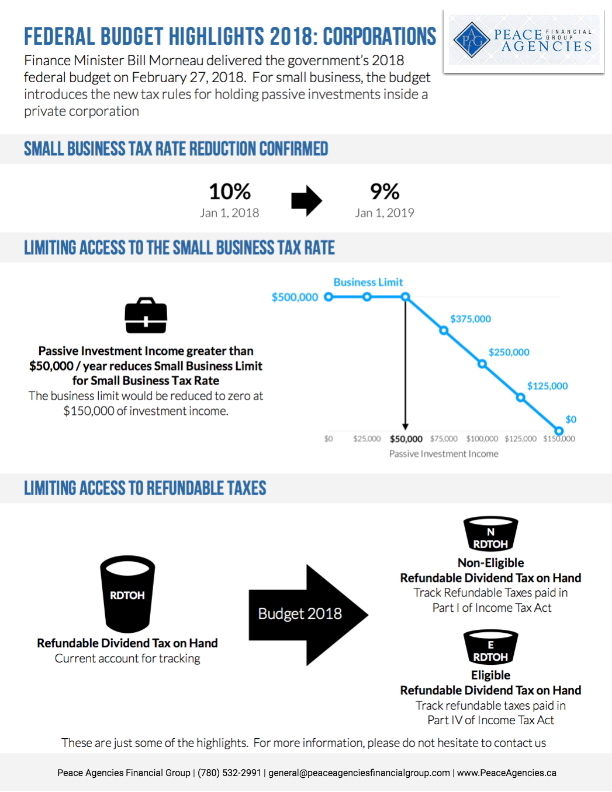 Lower small business tax rate from 10% (from 10.5%), effective January 1, 2018 and to 9% effective January 1, 2019. A key objective of the budget is to decrease the small business limit for CCPCs with a set threshold of income generated from passive investments. This will apply to CCPCs with between $50,000 and $150,000 of investment income. It reduces the small business deduction by $5 for each $1 of investment income which falls over the threshold of $50,000. This new ­regulation will go hand in hand with the current business limit reduction for taxable capital. Another important feature of the budget is to reduce the tax advantages that CCPCs can gain to access refundable taxes on the distribution of dividends. Currently, a corporation can receive a refundable dividend tax on hand (known as a RDTOH) when they pay a particular dividend, whereas the new proposals aim to permit such a refund only where a private corporation pays non-eligible dividends, though exceptions apply regarding RDTOH deriving from eligible portfolio dividends. The new RDTOH account referred to “eligible RDTOH” will be tracked under Part IV of the Income Tax Act while the current RDTOH account will be redefined as “non-eligible RDTOH” and will be tracked under Part I of the Income Tax Act. This means when a corporation pays non-eligible dividends, it’s required to obtain a refund from its non-eligible RDTOH account before it obtains a refund from its eligible RDTOH account. The budget states that it will end the Health and Welfare Trust tax regime and transition it to Employee Life and Health Trusts. The current tax position of Health and Welfare Trusts are linked to the administrative rules as stated by the CRA, but the income Tax Act includes specific rules relating to the Employee Life and Heath Trusts which are similar. The budget will simplify this arrangement to have one set of rules across both arrangements. The government intends to honor a commitment made prior to the election, to reduce the small business tax rate from 10.5% to 9% by the year 2019. Morneau confirmed that the government has scrapped the proposal to limit access to the Lifetime Capital Gains Exemption. 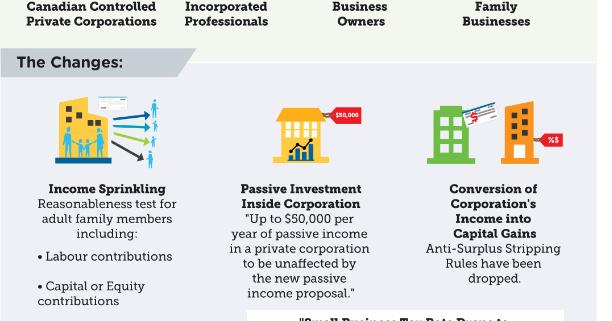 The plans announced earlier in the year to reduce the value of passive investments made by corporations will continue in principle, but with few key changes. There will be a threshold of $50,000 of income per year, which will be excluded from the newly set higher rate of tax. The government has agreed to “simplify” the rules related to the new plans, to prevent income splitting for family members, who are not active in a business, but the plan will still move ahead in principle. Morneau has confirmed that the government will still provide good entrepreneurial incentives for venture capitalists and angel investors. The criteria for which still needs to be established. 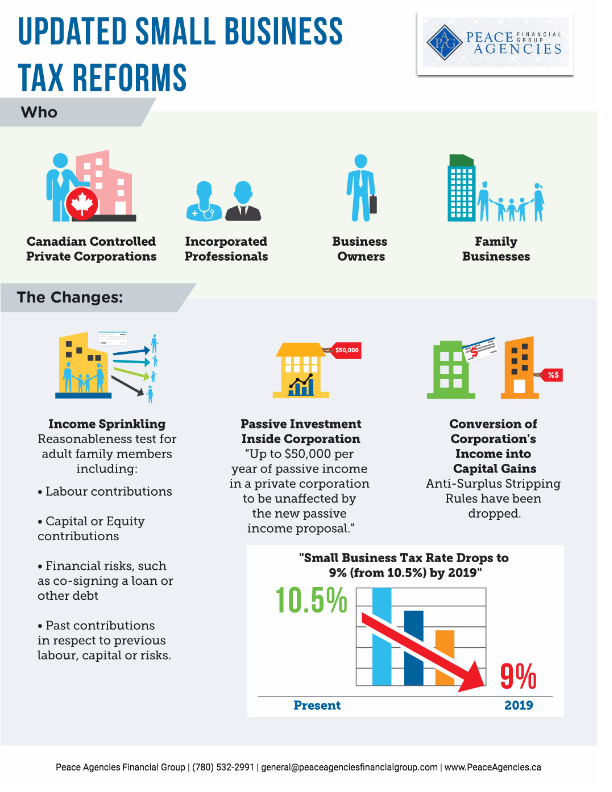 The proposed rules to limit the conversion of income to capital gains have been abandoned due to the concerns that many related to intergenerational transfers and insurance policies were held inside corporations. Of course, this is one area of government policy which is not only constantly changing, but particularly controversial in the current climate, so keep yourself updated regularly on new announcements and news, to ensure your understanding in this area and its potential impact on your family and business. If you have any questions, please talk to us.